Fix Auto USA is pleased to announce the appointment of Dennis O’Mahoney as Vice President of Business Development with responsibility for all revenue generating activities and will report to Fix Auto USA’s CEO, effective immediately. Dennis O’Mahoney comes to Fix Auto USA with over 25 years of executive management experience from the insurance technology and claims service industries. Over his career, he has established deep relationships with every facet of the industry including insurers, body shops, OEMs, and technology providers. Most recently, Dennis was the Executive Vice President of IADA; prior to that he was the CEO and Founder of ClaimForce, and the Vice President of Sales (National Accounts) for CCC Information Services. During his tenure with CCC, Dennis also held the positions of Zone Vice President and Region Manager, where he led the largest sales and service teams in the company. As a member of the Fix Auto USA Executive Management team, Dennis’ principle focus will be to develop relationships with insurance carriers while nurturing existing MSO relationships, ensure Fix Auto USA is well positioned to take advantage of OEM certification programs, and continue growing the franchise network. 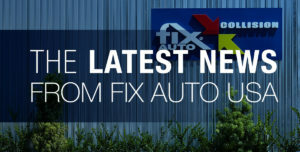 “We have always made a conscious decision to invest in our business and ensure we have the right executives in place to continue driving the brand forward,” stated Fix Auto USA President and CEO Paul Gange. “Dennis is here to help us accomplish exactly that—drive our business forward and help position the brand for long-term success on behalf of our Franchise Partners,” added Gange. Based in San Diego, California, Fix Auto USA provides a platform which enables independent owner-operated collision repair facilities to achieve success in a consolidating marketplace. Fix Auto members benefit from a trusted brand, local, regional, and national-level insurance representation, leading edge technology, centrally managed claims processes, and pooled purchasing power, all combined to ensure consistent performance and accelerated growth opportunities. For more information about Fix Auto USA, go to www.fixautousa.com. Copyright © 2018 Fix Auto USA. All rights reserved.